2. 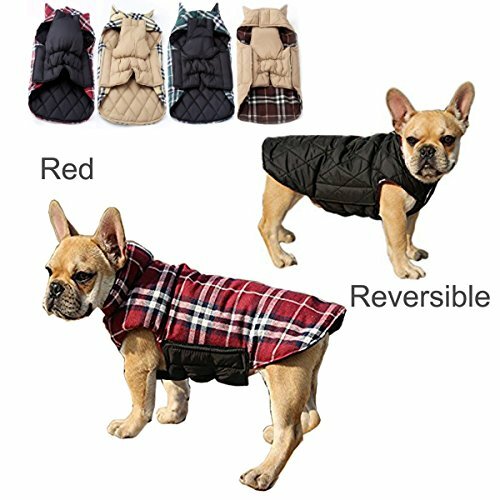 Features: 4 colors for your choose, Size:XS to XXXL.The dog clothes is very lightweight, soft, comfortable and warm.The velcro design make you easy to wear and take off the jacket, and easily adjust loose and tight. 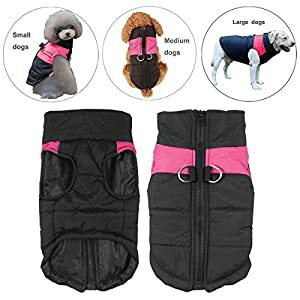 Includes hole for dog leash. 3. 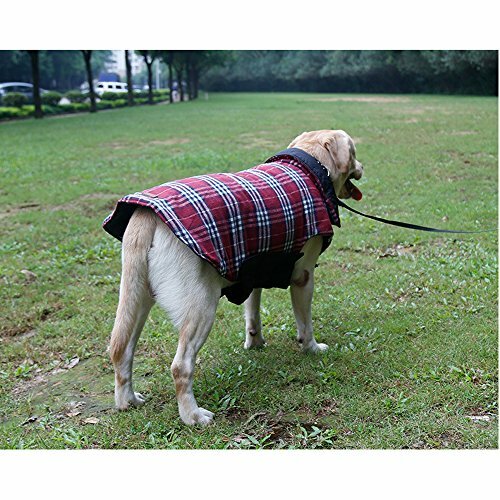 Double wear plaid dog jacket coat, The chest protector ensures your dog have extra protection. 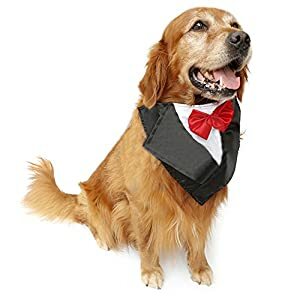 Suit for: Large medium small dogs such as golden retriever, labrador, rough. It’s Lightweight, Soft, Comfortable and Warm. 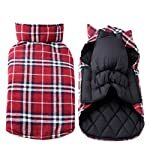 Both sides can be dressed with reversible design, 1 coat as 2. 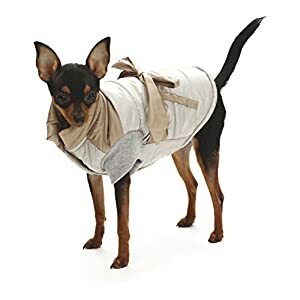 There is a Leash Hole on Back, it can be linked with collar, harness and leash. Fastening Tape and Elastic Cord Design, easy to be wear and off, great for different size dogs. 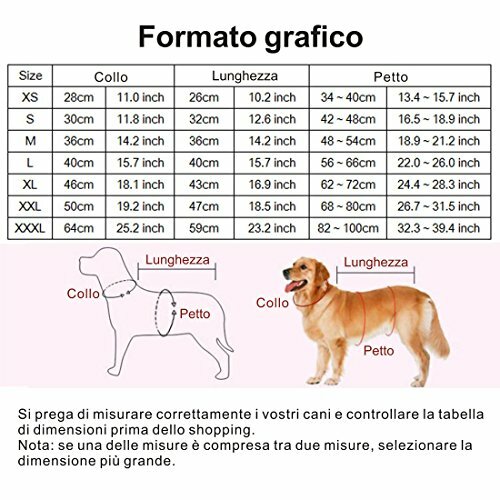 Chest Girth: Pull tape across the thickest part of dog’s chest (the root of forelegs), please add about 1-1.5in (or more) of free space then compare with the size chart. It is not accurate to chose size by weight only, So take weight and measurement all into consideration. 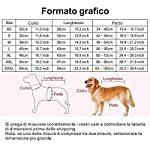 Let the dog stand tall and relax when you measure your dog. Please measure several times because it will reduce random errors and increase reliability of the measurement. Everyone measure the size with different methods so there may be some manual measurement error(2-3cm) inevitable, Please pay more attention on the size before placing the order. ★ Dog Plaid Coat Material: Polyester+TC (terylene/cotton), wind break Outer layer/ Soft and Warm Inner Layer. 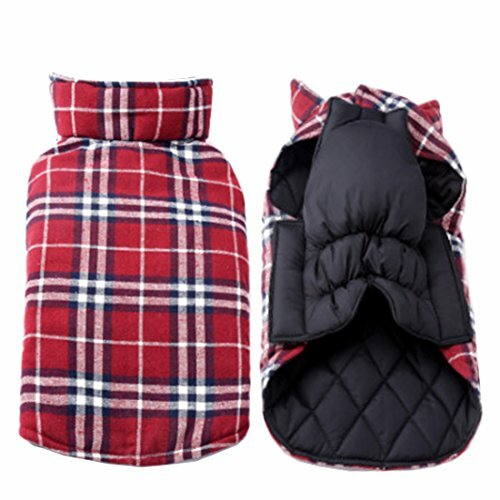 Reversible with plaid on one side and water resistant black or Brown material on the other. 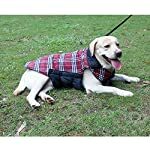 Great for outdoor or indoor activitives in winter or autumn. 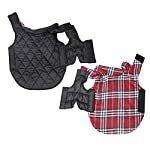 ★ Special Designs: With reversible design, front and back can be wear both. Leash hole on back can be dressed with collar, harness and lesh. The chest protector ensures your dog have extra protection. ★ Dog Jacket Features: This dog clothes is very lightweight, soft, comfortable and warm. The velcro design make you easy to wear and off, the band of the chest is more elastic, which has a wider stretching range. 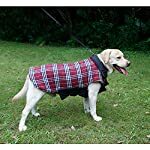 It’s easily to adjust the jacket to become loose or tight. ★ What You Can Get: This dog coat is a great gift to your dogs. If you have any questions about the item you just received, please contact us immediately, We will try our best to solve your problem within 8-12 hours in working days.